Tom Rob Smith’s Child 44 has been getting a lot of buzz, especially since it made the long list for the Booker Prize. I’d only been mildly interested in it because the reviews I’d read made it sound kind of predictable and cliched. Its appearance on the Booker list intrigued me, however, so I decided to give it a try. At worst, I thought it might at least be a very good thriller. Now I generally do enjoy thrillers, as long as they’re not too predictable and as long as the author plays fair. And having read Child 44, I can heartily recommend it to fans of thrillers, though I’d have reservations recommending to others who don’t enjoy the genre. Most reviews have concentrated on the fact that this is a book about a serial killer of children. Yes, it is that, but the killer only makes rare appearances in the first half of the book. Much of the story concentrates on the work of Leo Stepanovich Demidov, a member of the MGB, the Soviet Union’s State Security force. Leo is a good officer; he follows orders and does what’s expected, risking his life to capture spies, even when he has private reservations about their actual guilt. Eventually, however, the pursuit of dissidents turns personal, and Leo’s own wife is accused. When Leo defends her, his punishment leads him into exile, where he soon encounters a murder that is uncannily similar to a murder back in Moscow that the authorities treated as an accidental death. And so the chase for the serial killer begins. The first half of the book is by far the strongest. I suspect that my experience of this part of the book was enhanced by the fact that I was listening to the audio version of 1984 as I began reading Child 44. The interrogation techniques and forced confessions in the two books clearly echoed each other, and this made me even more tense as I read about Leo and his wife’s arrests. It was also a relief to read of a persecutor like Leo having an internal crisis of conscience, although his willingness to push through that crisis confirmed Orwell’s dark picture of the state’s ability to make people act even against their own judgment. The last half of the book is somewhat weaker, if only because the psychological and political dimension takes a back seat to the action. The serial killer plot itself has a few twists that felt a bit like cheating. If Smith planted any clues to certain characters’ identities, I missed them. And without such clues, the plot twists appeared to be included just for the sake of shocking the reader. Really, the story was interesting enough without such gimmicks, and their presence only served to annoy and distract. Otherwise, the book is competently written and well plotted. Some reviewers have complained that Smith overexplains at times. I can see that point, but he didn’t seem any more guilty on that score than any other thriller writer. Its perhaps too bad that Child 44 made the Booker long list because it is now being held to the standards of literary fiction, and it isn’t that. It’s a very good example of its own genre, and as a thriller it does its job well–it thrills. 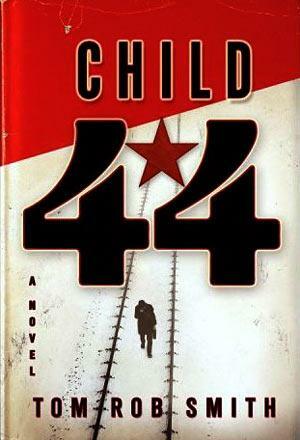 As the winner of the CWA Ian Fleming Steel Dagger Award, Child 44 is my first entry in the Book Awards Reading Challenge. Nine more to go! 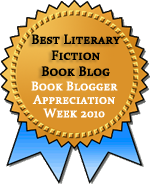 Pingback: Thoughts on CHILD 44 by Tom Rob Smith | Hey Lady! Whatcha Readin'?